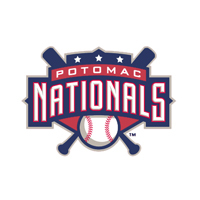 A two-run homer from Steven Souza Jr. in the top of the ninth broke a 1-1 tie and propelled the Potomac Nationals to a 3-1 win over the Frederick Keys. The homer gave Potomac their first lead of the series in the 18th inning of three-game set. With the score tied at 1-1 going into the ninth inning, Frederick brought in closer David Walters. With one out, David Freitas singled up the middle. The next batter Steven Souza Jr. hit a two-run shot off the batters eye to center to give the P-Nats a 3-1 advantage. It was the first homer for Souza Jr. with Potomac this season after 17 four-baggers with Hagerstown. The Keys opened the scoring in the first against Potomac starter Rob Gilliam who was making his first start in the Carolina League. With one out, Glynn Davis singled then scored on a Jeremy Nowak single to left to give the Keys an early 1-0 lead. Frederick starter Tim Berry cruised through the first five innings allowing just three hits while striking out seven Nationals. Berry retired the first two batters of the sixth but Ricky Hague singled to extend the inning. The next batter Freitas hit a 3-0 pitch off the center field wall for a double easily scoring Hague tying the game 1-1. It was the first run scored by the Nationals in the 15th inning of the series with Frederick. Berry was removed from the game going five and two-thirds striking out seven and walking just one. He didn’t factor into the decision. After giving up the run in the first, Gilliam was dominant. He went five and third innings giving up just five hits — all singles and one run while striking out five batters. Gilliam ran into trouble in the sixth with two on and one out and replaced by Ryan Demmin. Nowak grounded into a 5-4-3 double play against Demmin to end the sixth. After the two-run Potomac ninth, the Keys went down in order in the ninth against Rob Wort who struck out two batters en route to his sixth save of the season. Demmin (1-1) tossed two and two-thirds nearly flawless innings giving up just one hit while striking out three. He earned his first win of the season in his 23rd appearance. Walters (2-6) took the loss after earning the save last night.